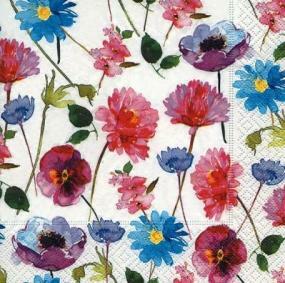 High quality flower design design 3 ply luncheon size napkins from German company Paper+Design. Ideal for Wedding, Anniversary, Engagement and lunch parties. Each pack contains 20 3 ply napkins measuring 33x33cm.